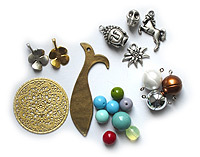 Our variety of products covers pearls, glass beads, synthetic beads, Swarovski pearls, Czech glass beads as well as a broad selection of supplies and accessories. Furthermore you can purchase extraordinary prefabricated jewellery. Perlenmarkt, located in Nordendstraße in the centre of Munich, has been the leading specialist store for pearls and beads coming from all over the world for over 30 years. Our pearl and bead wholesale has been founded and established over 18 years ago. We have now set up the Perlenmarkt online shop to make wholesale purchasing even easier and more practicable for our customers. Here all retail as well as wholesale customers can order in a comfortable way. 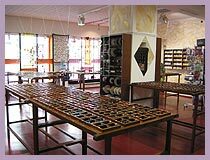 You can find a broad range and of pearls and beads and the relevant supplies in our shop premises in Munich. 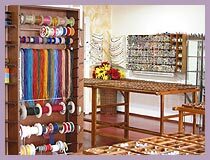 Threads, wires, leather straps, claps as well as all costume jewellery supplies for the creation of individual pieces of jewellery such as neck and ear jewellery (clips and pins), broaches, rings round up the creative product range. Of course all articles made of metal are nickel-free. At our location in Munich you will not only discover an unbelievable variety of different pearls, but also a very pleasant relaxed atmosphere which invites you to a creative way of stringing. The clearly and well-arranged premises, which slightly remind of a bazaar, make the browsing, searching and discovery a special kind of experience. Being accompanied by music one can fulfil one’s individual pearl dreams here. Friendly and helpful staff is always at your service for advice and help, if you need support. Also we offer repair work for your damaged piece of Jewelery. Have fun discovering, looking around, selecting and shopping. We are looking forward to your visit. 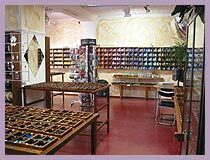 You are very welcome to visit us in our Retail Outlet in Munich. Find out more about our broad offer of pearls and beads directly at our. locationin Munich. Informieren Sie sich vor Ort über unser umfangreiches Perlenangebot. Click here for your route planning!